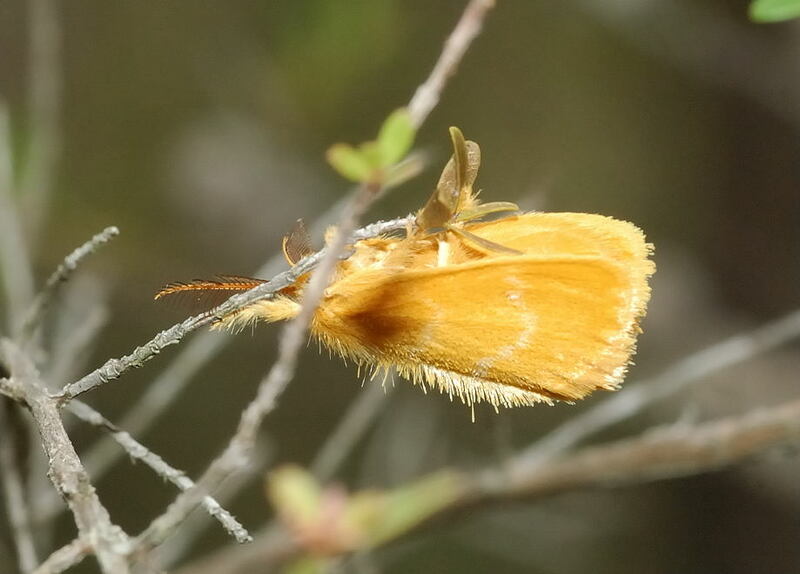 This page contains pictures and information about Yellow Tussock Moths that we found in the Brisbane area, Queensland, Australia. 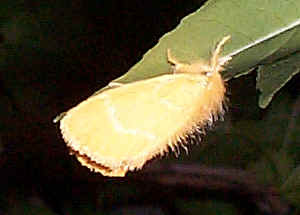 We often see this moth resting on leaf in our backyard. 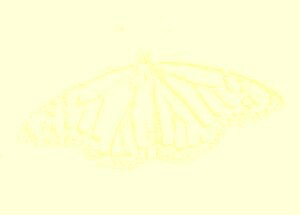 The moth is hairy and bright yellow in colour with white wavy lines on wings. The hairy caterpillar is black with a white line along the back of the abdomen. There is also a white spot on its thorax. 1. Moths of Australia - Bernard D'Abrera, Lansdowne Press, Melbourne, 1974, p71 (Pothesia lutea). 2. 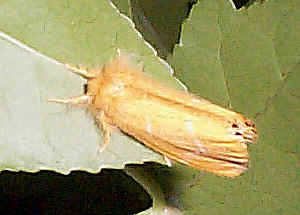 Euproctis lutea (Fabricius, 1775) - Don Herbison-Evans & Stella Crossley, 2004.